A show off... proud that he's one of few Autobots that can fly. Incredible manoeuvrability... delights in displaying his dazzling aerial virtuosity, to friends or foes... just wants their appreciation of his talent. Cruises at 500mph... can increase power output and speed to 3200mph for short periods. Carries small concussion bombs... shoots thermal beam as plane and robot. Gets into more troubles with enemy planes than he can handle. Anyway � on to the toy! 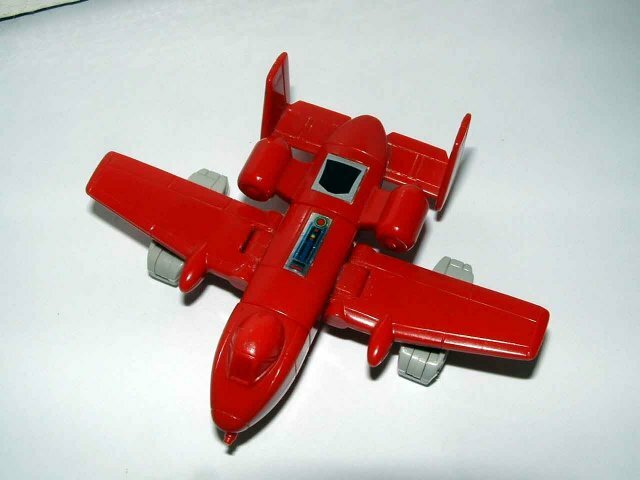 Powerglide�s alternate mode is a small red plane (3� or 7.5cm long, 3 �� or 9cm wingspan). It�s got quite nice detailing for a G1 Minibot, and is very aesthetically pleasing in shape. The only real giveaway to the robot mode is the face being visible from underneath. Otherwise, he�s flawless, and looks nice in any collection of small Transformers. Powerglide�s transformation is simple, as you�d expect. There�s really no point in describing it, and there�s only one feature worthy of description in my view. This is the way his arms fold out. It�s really very nice for a Minibot, and gives great articulation in the arms, which is exceptionally unusual in any early G1 figure. While we�re on the subject of articulation, there really is very little. His head moves (a real bonus), and each of the arms have three points of movement. However, all of these points of articulation are by-products of his transformation. Regardless of this, though, he is one of the most articulated of G1 Minibots! As for aesthetics, Powergilde loses a lot of the nice detail from his plane mode, and his proportions are a little off with his immensely long arms. And, let�s face it, his feet really are the solid tail-end of a plane! All of this is a bit of a shame considering he's a whopping 3 1/2" (9cm) tall. His face does redeem him somewhat in this area, though, as it is nicely detailed, and is accurate to the cartoon character (or vice versa). He also has a nice wee sticker down his torso, which brings a little flash of colour, without overdoing it as some small G1 toys did. All in all, Powerglide is a very satisfying little transformer, and certainly worthy of your collection. His shortcomings are compensated for with some nice features, articulation, cartoon accuracy, and a nicely detailed alternate mode. Not to mention the ability to be posed giving a salute of big wave, while still looking quite natural! Transformation: 3 � It�s a no-brainer, but is quite nice, and allows a lot of articulation for a Minibot. 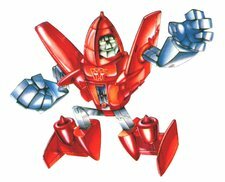 Fun: 6 � He�s not spectacular, I suppose, but I find him fun, and he�s certainly not so limited as a lot of early Transformers are! 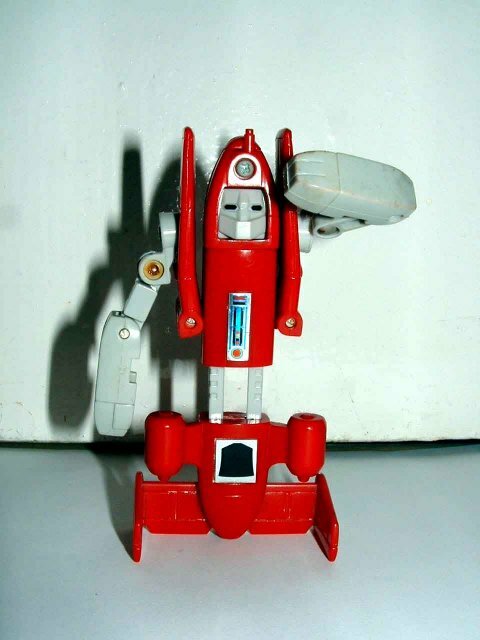 Price: 6 � He is generally not expensive, unless you have your heart set on a carded Japanese edition, but he does vary somewhat, and a decent Powerglide is not as cheap as some of the Minibots. He clocks in between �3.50 ($6.00) to �14.50 ($25.00), unless you�re going for a Japanese carded edition, which is a little more expensive. Would hardly break the bank, but is maybe more than some would pay for a G1 Minibot. Overall: 6 � He�s not essential to absolutely all collections by any means, but, if, like me, you�re a fan of small transformers, or Minibots in particular, the little guy really ought to be in your list of �must haves�.